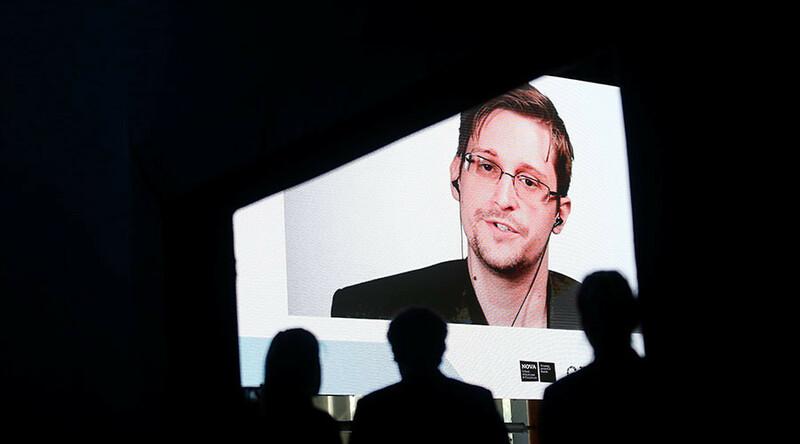 Whistleblower Edward Snowden offered an impassioned argument against terrorism being used as a pretext for introducing mass surveillance in a video-linked speech to a migration conference on Tuesday night. Speaking to the Estoril conference on global migration in Portugal via video from Moscow, where he has lived for the past four years after being granted asylum by Russia in 2013, Snowden argued that terrorists do not possess the power to destroy people’s rights or weaken a society’s strength. That only happens when those in a position of power use extremists as an excuse to create laws that encroach on people’s liberties, he said. The former NSA contractor made a similar argument when answering a question from the floor which asked him to discuss recent comments from UK Prime Minister Theresa May which made the case for regulating the internet to combat terrorism. Snowden noted that the Investigatory Powers Act – which the UK parliament passed last year and which Snowden described as “the most extreme surveillance law in the history of the western world” – was being justified as a means of rooting out terrorists. Snowden said he understood the impulse, but said that there is no public evidence that these policies are effective. On the contrary, there is clear evidence that they cause harm to the public, he said.